Has been called Knockaphunta. Knockanuarha is the 1137th highest place in Ireland. 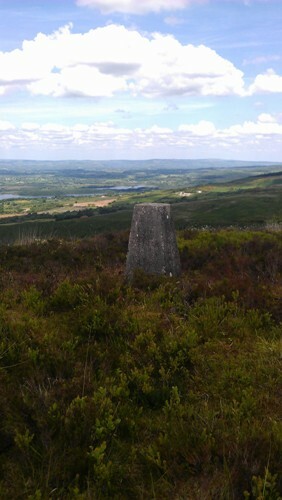 Having the good fortune to finish work early on a fantastic hot day, decded to visit some summits in the Shannon area. Knockanuarha Hill or Bonfire Mountain would be a better name in view of all the burned out fires.